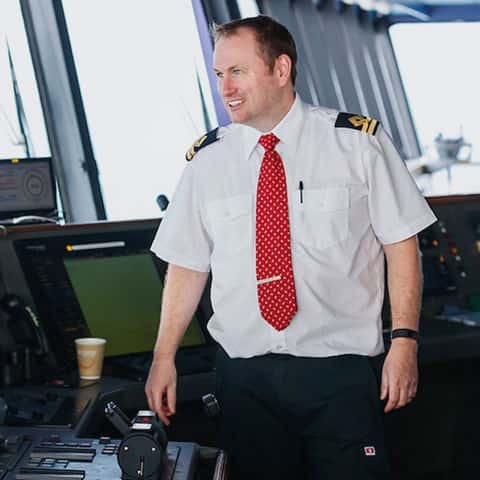 From major UK ferry organisations to international cruise and transportation companies, Clyde Marine Training works hand-in-hand with the UK’s largest shipping companies to train the next generation of Merchant Navy Officers. Fulton Maritime Co.,Ltd is an emerging force in the marine field, established in 2009, located in Shanghai, China. Fulton Maritime deals with professional marine spare parts, equipment and store suppliers and are specialised in supplying and exporting spare parts for main engine, auxiliary engine, turbocharger, air compressor, purifier, pumps, valves, air conditioner, refrigeration machinery and deck machinery. Gulfmark owns, operates and manages a modern fleet of offshore support vessels that include platform supply, anchor handling towing supply, fast supply vessels and specialty vessels. Gulfmark’s primary business is marine transportation services in support of the upstream oil and gas industry. Since entering the market in 1990, it has steadily evolved into a global, growth-oriented marine services provider known for our technologically advanced fleet and quality performance. It has earned a reputation for consistent performance, safe operations and a dedication to exceptional service. Imperial Shipping operates out of offices in London and Gothenburg, Sweden. Among its investments are four vessels, and the full ownership of the well-known Swedish Orient Line shipping company. It also has its own ship management company, Imperial Ship Management AB, based in Gothenburg and ship-broking. The Isles of Scilly Steamship Company operates a seasonal passenger service from Penzance, in the English county of Cornwall to the offshore Isles of Scilly, together with a year-round cargo service. The name of the company’s principal ferry, the Scillonian III, is perhaps better known than the company itself. Latsco (London) Ltd is a shipping company established in London in 2006 under the British Tonnage Tax system. It is engaged in the control and operation of a fleet of product carriers and very large liquefied petroleum gas carriers. Its vision is to expand its fleet in the clean and gas sectors and transport environmentally friendly products for our long-standing customers whilst at the same time maintaining the highest standards of management, integrity and shipping operations with particular emphasis on the protection of the environment. Lomar is a leading ship-owning and management group with a diversified fleet of over 80 container vessels, bulk carriers, and chemical and product tankers. With over 40 years of industry expertise as a leading ship owner and operator, its fleets have moved millions of tonnes of cargo. It works globally with major first-class organisations, from charterers to shipping professionals, regulatory authorities and governments.